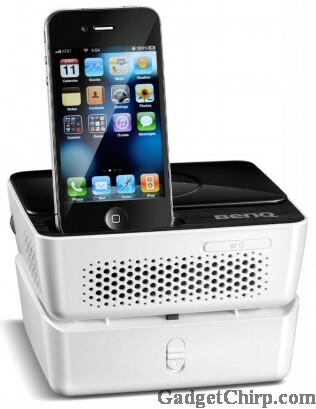 BenQ has just launched the Joybee GP2 which is mini projector with an integradted iPhone doc on it. BenQ Joybee GP2 is having some impressive features like the HDMI port, multi-format video support, audio support, document viewing, 2GB internal memory, SD card slot, USB reader and two 2W stereo speakers. The full specs and features of the BenQ Joybee GP2 projector are given below.